These presentation slides 43895 are complete compatible with Google Slides. Simple download PPTX and open the template in Google Slides. 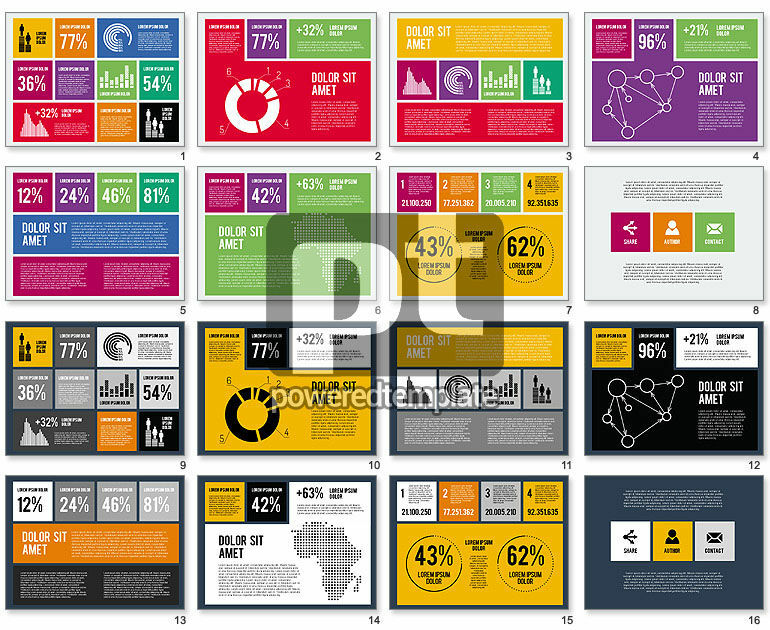 This nice grid based layout template is a great decision for many kinds of presentations of many spheres. Made in a funky manner with bright colors and modern laconic icons it may be used for company presentations, idea presentations and many other issues with wide range of topics. You can find there stripes of different colors for your content and please the audience with positive mood.